Speakers for the 10th Anniversary Special Celebration. 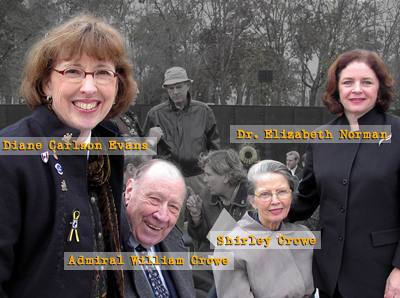  Dr. Elizabeth Norman - presented Veterans Day, November 11, 2003 during Veterans's Day Ceremonies at the wall. Please check back soon, as more archives will be added.